More than 100 years after its rediscovery by explorer Hiram Bingham, Machu Picchu remains one of South America’s deepest enigmas. Scholars have arrived at no consensus on what this Andean aerie represents: Citadel for a retreating Inca culture? Sacred administrative center? Summer home for the emperor Pachacutec? The stones of its sublime architecture suggest an infinitude of meanings, but in the end remain mysteriously silent. 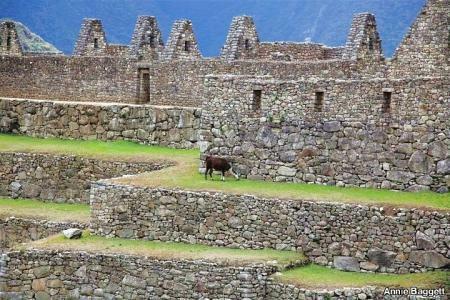 Machu Picchu’s ruins comprise a huge variety of structures, from royal chambers to prison cells. Among the most important are the Temple of the Three Windows, with its massive trapezoidal openings; the Temple of the Sun, with its fine stonework and astronomical function; and the famous Intihuatana, the “hitching post of the sun” that Inca rulers used to predict the solstices. Inevitably, though, isolating individual elements does violence to the design of the whole, which is a work of art on a geolithic scale. Nor is Machu Picchu the only attraction in the vicinity. Towering over the complex is the sugarloaf of Huayna Picchu, which offers superb views of the whole valley, and which challenges hundreds of climbers daily. There’s also the 10,000-foot slope of Machu Picchu Mountain, where Inca priests offered sacrifices to the gods of the sierra, as well as the Inti Punku or Sun Gate, where countless visitors have sat at dawn to see the sun rise over the ruins. The latter also represents the final stop on the legendary Inca Trail. Machu Picchu can be explored in the course of a day, a week, or a lifetime. Those who spend the night in the town at its base, Aguas Calientes, will find a host of lodging and eating options. 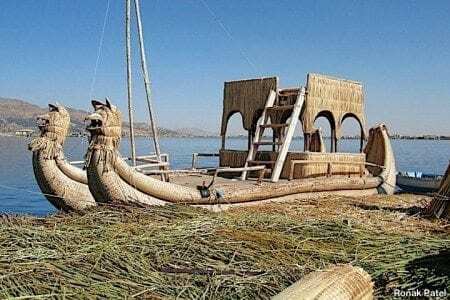 But even those who only spend the day will come away with indelible memories, a once-in-a-lifetime glimpse of one of Earth’s great archaeological marvels.